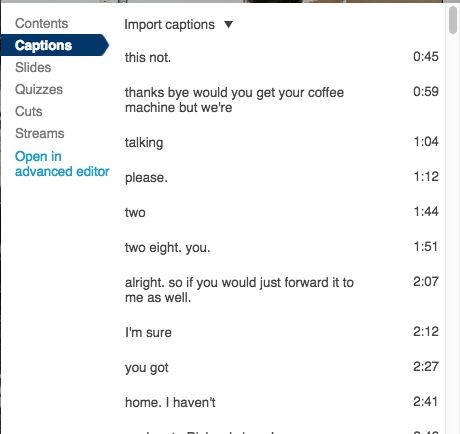 Canvas @ YaleInstructor Guides Media LibraryHow do I add and edit captions? Panopto has the ability to manually upload captions or add captions through automatic speech recognition (ASR). Please note that captions created through ASR are not 100% accurate and should be reviewed and edited before being used for your content. This guide will show how to import and edit ASR captions as well as upload captions created elsewhere. 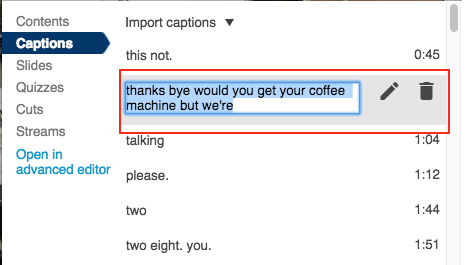 To import ASR generated captions, enter the online video editor by clicking the "edit" button. 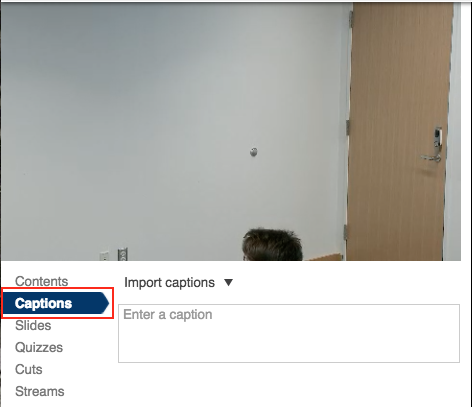 In the video editor, select "captions" from the left hand menu. 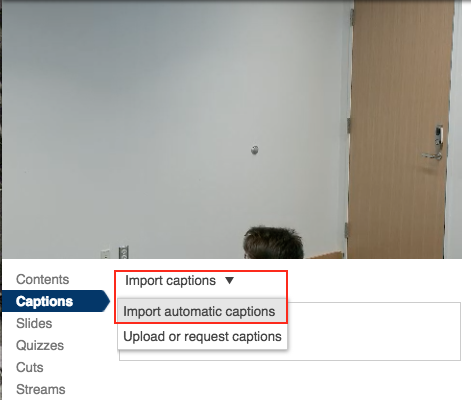 Select "import captions" and then "import automatic captions." You will now see the caption text listed with timestamps. It is highly recommended to edit your ASR generated captions, as they will contain numerous errors. To edit the text, simply click on the text and type to correct or add content. You can also select the pen icon next to the text to open a edit window. You can change the text and timing of the caption here. 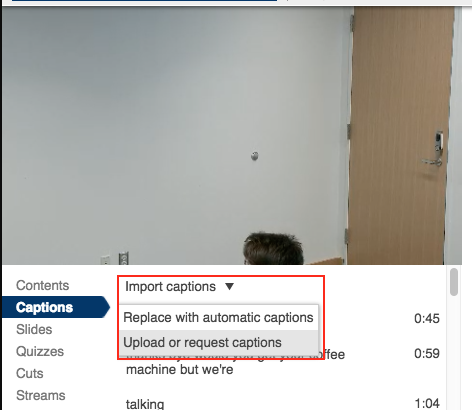 If you have had captions created from another service, you can easily upload them to your video content. Panopto currently supports *.srt, *.ashx, and *.dxfp file types for captions. To begin, follow the above steps to enter the online editor and select to the captions options from the left hand menu. 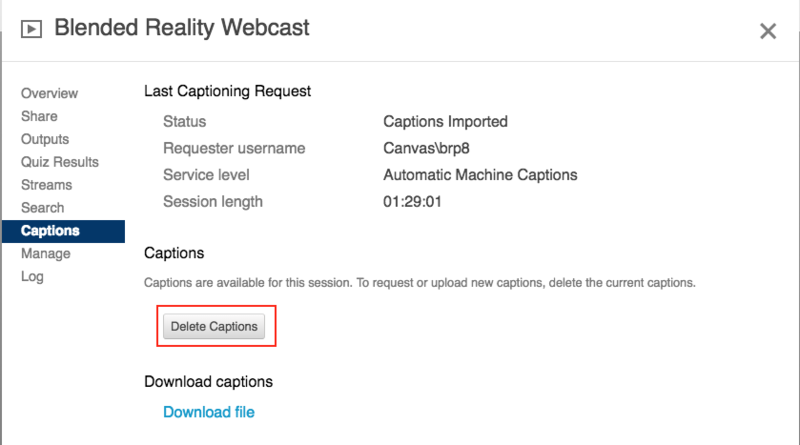 Select "import captions" and then "upload or request captions"
From the menu, delete the automatic captions if they are present for your session. Browse to you caption file and select "Upload Captions." 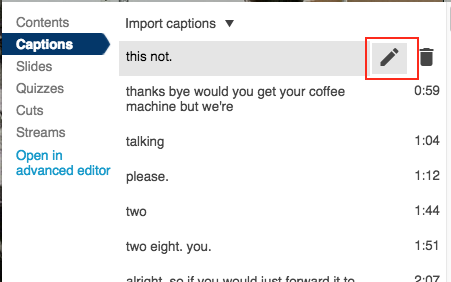 You can now edit your captions, if needed, following the steps above. Prev: How do I find and move content that was in Media Gallery?